The motorized folding machine PowerBend Industrial UD is the professional solution for an efficient and reliable continous use in the industrial production. 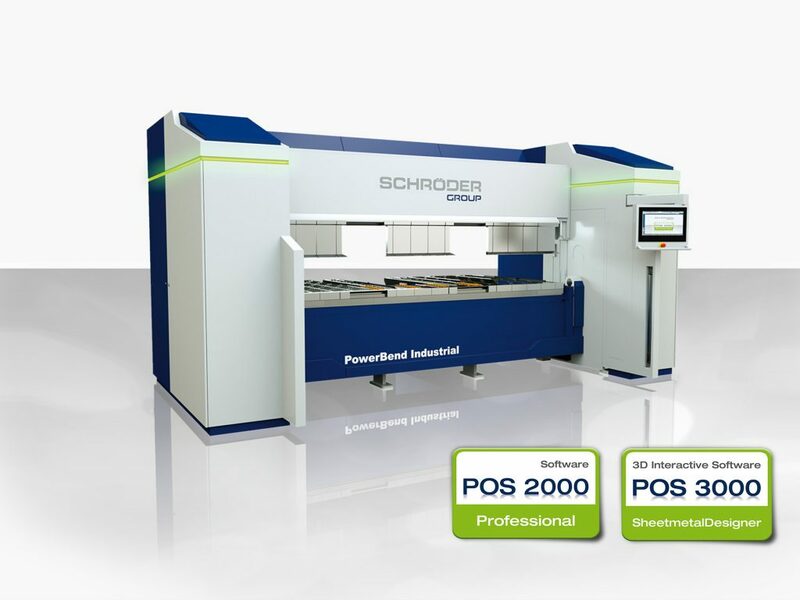 Thanks to its extremely rigid construction, this machine is characterized by highest precision and performance power. 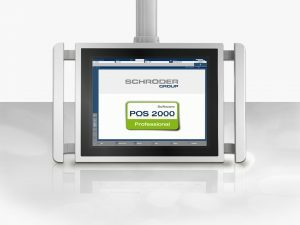 The proven POS 2000 Professional makes programming a folding machine fast and comfortable. The desired program components can be selected from a comprehensive and expandable catalog, the angle and side dimensions are easily changed by pressing the monitor. 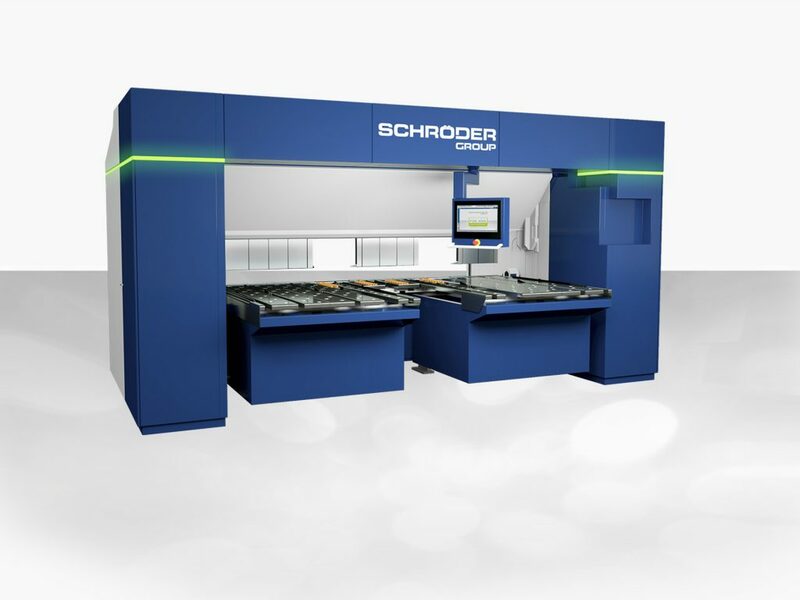 The control software displays exactly what the machine is doing: The folding machine, work piece, and tool are displayed schematically and updated for every bending step. 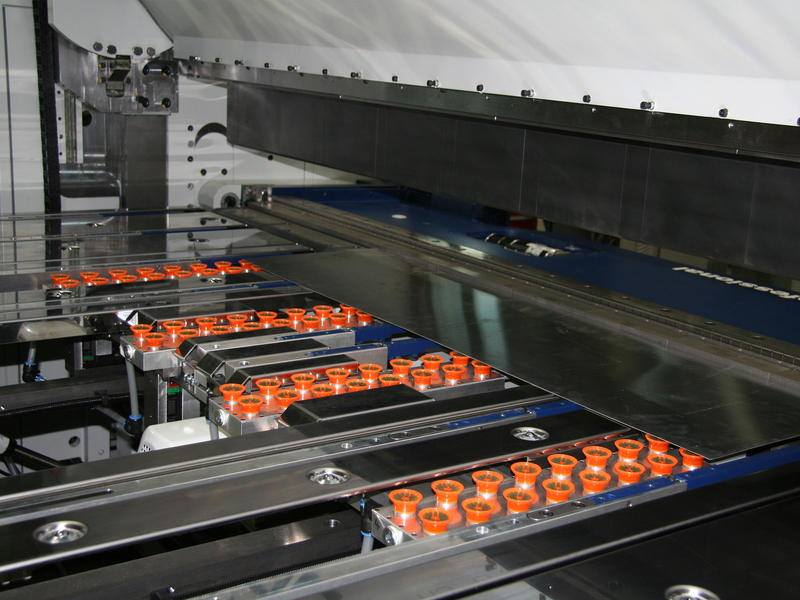 Anyone who programs preparation of the work away from the machine can test the quality of their program using the bending simulation, which effectively avoids waste and delays during production. The software not only controls the machine, but also offers assistance to the user: all of the necessary operator activities like turning, rotating, etc. are displayed for each bending step. 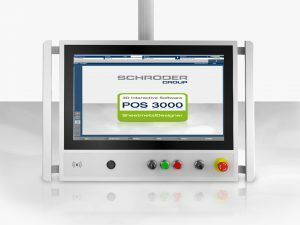 POS 3000 3D graphical control is one of the most powerful controls on the market, and because both the hard- and software come from a single provider, the PowerBend Professional and POS 3000 3D graphical control are a perfect match. Clearly laid-out product selection including a search function and navigation in submenus enables the operator to select work steps and connect them in the production plan menu to create sequences. Individual product profiles can be designed very quickly via the intuitive finger-activated drawing feature. The exact dimensions may be entered and changed in the dimensioning menu. In order to check and coordinate together with the customer, the drawing may be output on paper using a printer. Using the program that is created, the software generates the optimal sequence of bends, including automatic collision and threshold value monitoring. The folding angle and cut are corrected automatically using interpolation from the database. 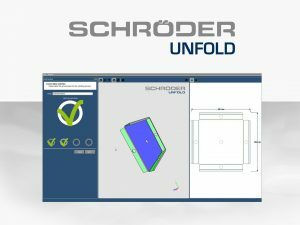 In order to coordinate hardware and software perfectly, Hans Schröder Maschinenbau developed an unfold software to calculate the blank size of the sheet and the program with effortless precision.